It takes very long time to connect to the server from client. 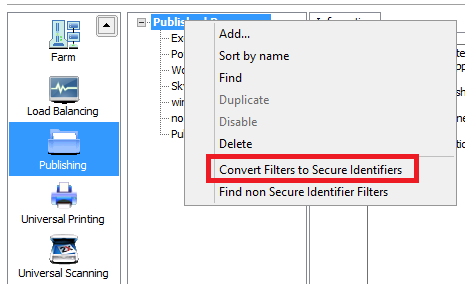 Large environment, published items are filtered for users using SID filtering, LDAP or WinNT. Large environments with an amount of filtered items using LDAP or WinNT may lead to long logon times. Take a backup from Remote Application Console > Administration > Backup tab.